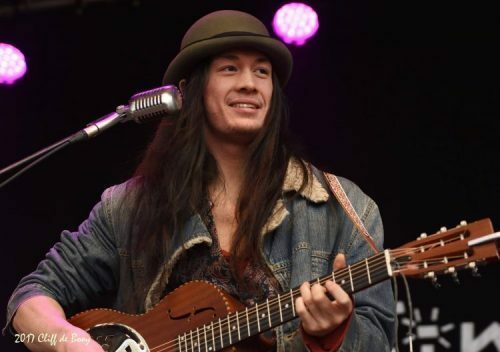 There is this Dutch saying: ‘all good things come fast.’ But I don’t think even Satria Karsono would have dared to dream that he would be rocking the Winter Castlefest stage with his own band Sunfire, only 10 months after doing his first solo concert as a support act for Thundercrow. Nor would he have expected that ALL the major Dutch fantasy festivals would be queuing up to book his band for the 2018 season. Whether you will be visiting Elfia, Zomerfolk or Castlefest, there is no escaping the western folk sounds of Sunfire. 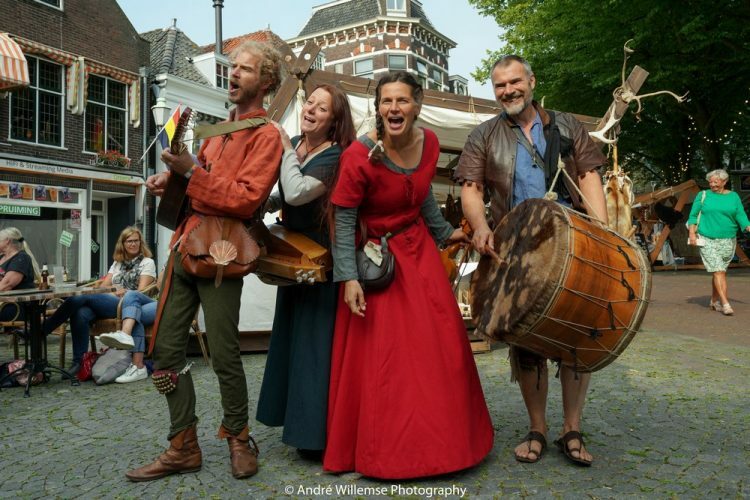 And you might bump in to them on a lot of other Dutch festivals as well. 2018 is starting to look like a break through year for this young band. Sunfire already visited the CeltCast living room and the song Yoyo was our February 2018 monthly marker . So it’s high time we finally introduce Satria’s music in a CD review. We first picked up on Satria Karsono’s music when he released the mini CD Endorphine under the artist name Satria Sunfire in 2014. It is a beautiful 6 track album that showcases Satria as a gifted singer-songwriter and guitarist. His style can be described as laid back acoustic music, with a warm soulful voice and good lyrics, reminding me a bit of Jack Johnson. It kinda feels like friends sharing life stories while drinking good wine around a campfire. Endorphine was brought out as a download album only. Although officially no longer promoted, you can still find it in the archives of the good old internet if you want to. In February of 2017 Satria did his first solo performance at the Thundercrow release party, for their CD Drop It. He played old material from his Endorphine Mini CD and gave us a taste of the new songs that were released on Sunfire soon after. This is his first -and for the time being only- full length solo CD. Satria recorded it with the help of old friend and sound engineer Berend de Vries. But even before officially releasing Sunfire, Satria already told us he wanted to bring a band together to promote the CD and work on new material. In the summer of 2017 Sunfire did some small shows as a full band for the first time, with Satria on vocals, guitar and percussion; Berend de Vries on (solo) guitar and Michel Beeckman on bass. 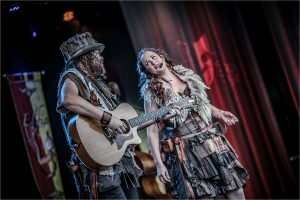 The final piece of the Sunfire puzzle fell into place when Sophie Zaaijer (Cesair, Shireen) added her violin skills to the American folk sound that was already starting to emerge within the band. 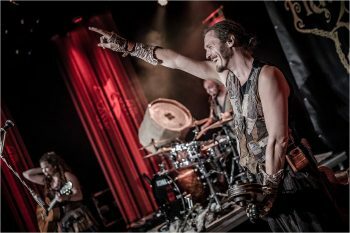 The four of them adding yet another unique sound to the already so vibrant fantasy folk scene. Alternative Western folk. Back to the CD. 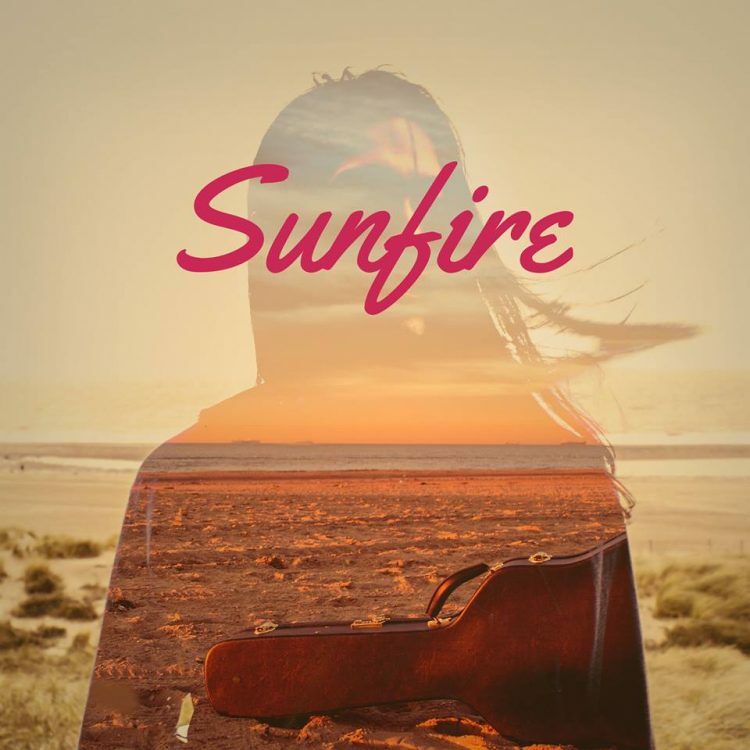 Reading about the short but rapid development from Satria Sunfire as a solo artist to Sunfire as a band, it’s easy to think that Sunfire the solo CD -are you getting confused already?- is just an intermediate stop, building up to the Western folk style the band have now. But that wouldn’t do the album any justice. No justice at all. 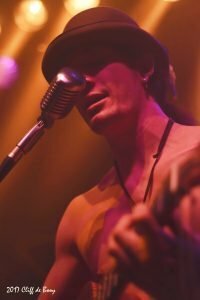 So let’s talk music! After the intro called Intro, a short soundscape kinda thing with fragments of songs from the album setting the mood, the CD kicks of with Live Today. The first chorus, with it’s single acoustic guitar and Satria’s soulful vocals, is still how I remember him from Endorphine. But the start of the second verse changes the whole sound. 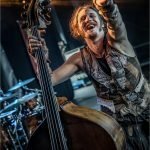 Daphyd Sens and Rob van Barschot (Thundercrow, Omnia) join their friend and former band mate to give the sound a cool almost Australian groove. But it’s the ’70’s electric guitar with a cool lo-fi effect on it that makes the song sound old and rugged, almost desert like. A guitar sound that reminds me a wee bit of the Shadows or more recently Edwyn Collins. To be clear. Edwyn Collins is a pop &rock and roll singer, while Satria Karsono’s solowork is singer-songwriter material with bluegrass and alternative country influences. The reference is only to illustrate that Satria and Berend used a similar guitar sound to give the Sunfire album a modern and yet old feel. That same electric guitar starts the second song Sunfire. Satria wrote this song on an early morning, while he was sitting on his balcony watching the world wake up below him. And you feel it. The melody reminds me a lot of My World, a song by Tim Kay, that Jamie Oliver used for his Jamie at home series. It has the same laid back, comforting feel to it. Here the singer-songwriter in Satria shines, with some impressive harmonies in the later part of the song. It’s impressive to hear how high Satria’s voice can reach. Guitar and vocals, you really don’t need more to have a beautiful song. The third song, Ghost, takes us across the water to the great plains of America for the first time. With the tender slide guitar notes, the native American influences, the flute and the lyrics reminding me of native American medicine men taking on their totem animals to fly over their native land or glide through the night like a mountain cat. It is a beautiful homage to these proud ancient people. Again with stunning vocals and harmonies building up a impressive climax. With Dirty James we stay in the good old US of A. In bluegrass country to be precise. This song, based on a laid back banjo riff, is the first one I heard that comes with a lyrics health warning . Don’t listen to those lyrics while you are eating. Not unless you’re on a diet that is. It will kill your appetite in seconds. Trust me. But, all fun aside, it’s a cool song which shows the witty side of Satria’s songwriting skills. I’m secretly hoping he will include it in his live set again one day. Because the song is really funny and I’m actually interested what Sophie could do with the violin in it. I have this odd feeling it would be pretty surprising. The next song I wanna pick out, Find Your Home, comes closest to the uptempo alternative western folk Sunfire is playing now. In an interview Satria told me where he wanted to go with his music. In the fantasy scene we focus a lot on European folk. Be it the Eastern European or the Celtic version. But the emigrants to America also took that music with them. In the south it evolved in what we now call country music. In the east, under the influence of the Irish and Scottish emigrants it turned into bluegrass. And it is this ‘American folk’ that Satria wanted to explore with his band Sunfire. Find Your Home has that cool uptempo western folk feel that we now know to be the typical Sunfire style. With A Smile For You and Little Rascal we come to the deeper emotional part of the album, where Satria really proves to be a gifted singer-songwriter. Both songs are ballads. A Smile For You again has those native American influences I mentioned in Ghost. He reaches deep inside to express the emotions that he feels seeing people hurt within these lyrics. Real goosebumps. In Little Rascal Satria shows that he isn’t afraid to put delicate subjects into his songs. It’s a homage to all the women who have lost a child before birth. Something that is not talked about a lot. A hidden grieving that he managed to put into words. Soothing. Sung as a warm embrace for everybody who had to go through this experience. Mr Whiskers is the ideal song to follow up on all those emotions. It’s a witty bluegrass ballad about an old stray cat in a dirty old ghost town somewhere in the deep American countryside. Putting the odd smile right back on your face. Yoyo, Celtcast’s February Monthly marker, is a bit of an odd one out on the album. With Daphyd Sens and Rob van Barschot joining in again on Slidgeridoo and percussion, it has this Australian beach feel again that we started out with on the album with Live Today. Ending our visit to the American plains and ghost towns. Immortal then totally closes the circle on this album. Again a soundscape kinda song. Let´s say Pink Floyd meets the shadows in the Australian desert, with Satria putting his electric guitar skills to good use. Odd, eerie but beautiful. Closing a CD that opened a whole new musical world to me. A world of bluegrass, alternative country and americana, mixed with the singer-songwriter i’m more familiar with. A world that the band Sunfire is going to open up even more for us. As we speak the band is writing and recording new material for the upcoming CD, due to be released some time in the summer. I was allowed to listen to a short preview and believe me, it is gonna rock your socks off. 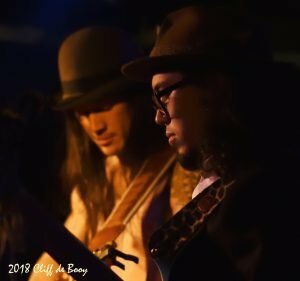 So I’ll finish this review about the ‘old’ solo work of Satria ‘Sunfire’ Karsono with a preview of the new alternative Western folk band Sunfire. And their first single Jordan. The first two sentences I wrote while listening to Three Strand Braid for the first time were: ‘The music feels like a warm soothing blanket.’ and ‘She is an amazing storyteller!’. Now that I’ve spent about a week listening to Gwendolyn Snowdon‘s first solo album, I know those lines sum up this whole album quite nicely. Yes. Although we are talking about a Folk album, I am sure I have been listening to a book filled with small stories. It has taken me overseas, it told me stories of lovers lost, It told me tales of ‘naughty girls’ and men young at heart, it gave me moments of laughter (you just have to listen to the lyrics in Little Duke Arthur’s Nurse) and a tear of melancholy. Twelve stories found a place on Three Strand Braid. Four English songs, four Dutch and four Irish. I will explain why that is after I introduce Gwendolyn a bit more. At the moment Gwendolyn is one of the main vocalists of the Celtic Folk band Finvarra. With this band being a bit less active and Gwendolyn having a bit more time on her hands, the idea grew to record a first solo album. One person to encourage her was Omnia frontman Steve ´Sic´ Evans-van Harten. Two and a half years ago Gwendolyn started collecting songs she loved for her album. With her father being Dutch and her mother being half English/half Irish, she had the idea to explore her own roots through music and that is how the concept for Three Strand Braid was born. 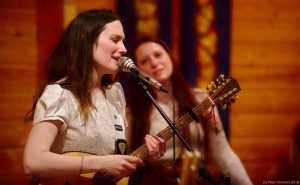 Four English songs, four Dutch and four Irish, braided together to form one Folk CD. You can see that concept come back in the cover art of the album as well. A lovely painting made by Lisa Falzon. 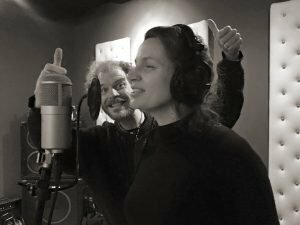 During the recording of Three Strand Braid she worked closely with sound engineer and producer David Groeneveld. He was also responsible for the recording and production of Finvarra’s first CD. Finvarra bandmates Patrick Broekema and Corné van Woerdekom were quite willing to help out with guitar, tin whistle, mandolin and violin parts. Other musical friends to help out were Kelten zonder Grenzen / Datura / Ball Noir‘s hurdy-gurdy player Lies Sommer, Perkelt‘s recorder player Paya Lehane, David’s brother Melchior Groeneveld on guitar and of course former The Dutch Lemmings member and long time ‘partner in crime’ Coca Román (now Kelten zonder Grenzen) on harp. The first song on Three Strand Braid really sets the mood. It is a beautiful interpretation of Sandy Denny´s The North Star Grassman and the Ravens. Sandy Denny is the late singer of the English 70’s folk band Fairport Convention. Gwendolyn tells in the informative booklet that she adores Sandy’s music. She thinks this is one of Sandy’s most beautiful songs. While researching The North Star Grassman and the Ravens on the internet I found a moving version of it on YouTube with Sandy Denny herself on piano. I don’t know íf Gwendolyn and David saw this specific performance, but if they did, it could well have been the starting point for their version. It starts really small with David accompanying Gwendolyn on piano. The warm blanket I mentioned at the start. 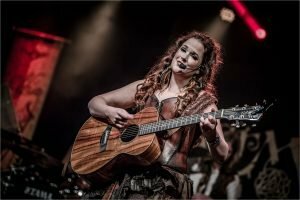 But it builds up to a powerful ballad with violin, drums, strong backing vocals and of course Gwendolyn’s own voice in all it’s glory. A wonderful tribute to her musical hero. 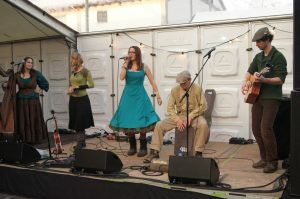 The second song is a Dutch one called Te Haarlem in den Houte. It’s a medieval song that tells the story of a boy who wants to spend the night with a ‘naughty girl’. Gwendolyn introduces her first guest soloist: Datura / Kelten zonder grenzen / Bal Noir‘s Lies Sommer on hurdy-gurdy. The start is definitely medieval. 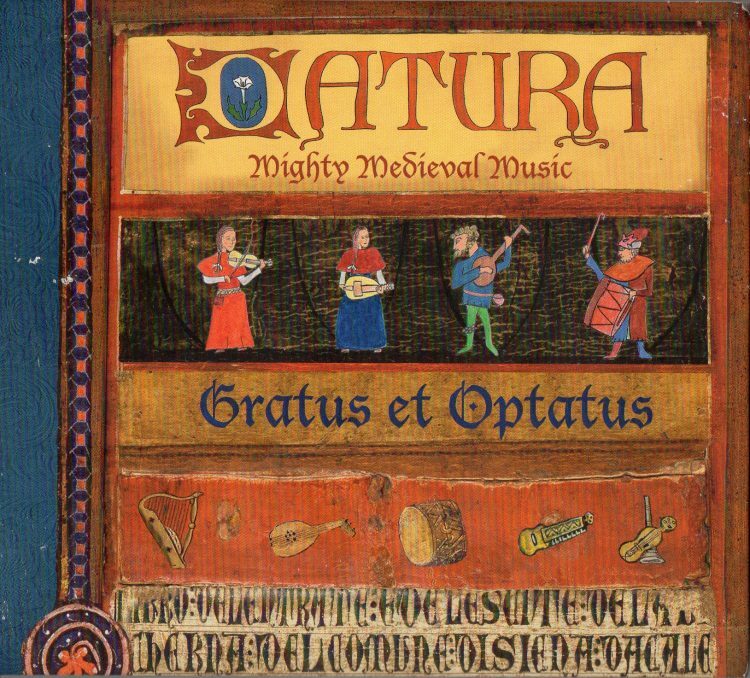 The clean classical vocals, the drum rhythm, the hurdy-gurdy sound of Lies are all things I know well from the Dutch medieval band Datura. But as the song builds up it suddenly goes Celtic. Especially the hurdy-gurdy solo pulls it right into the Celtic Folk sound. Nolwenn Leroy‘s version of Tri Martolod comes to my mind while listening. Indeed a braid of two strands in one song. Logically the third song then has to be Irish. Gwendolyn picked another musical hero of hers: Irish Folk singer Christy Moore. From his huge repertoire she choose I wish I was in England, an up-tempo ballad about a love found and lost again. Gwendolyn and David kept this as a pure Celtic Folk song driven by a catchy mandolin melody played by Finvarra’s Patrick Broekema. You just can not get it out of your head after you heard it. For a short moment the name Amy MacDonald flashes by when I hear the guitar intro, but that soon passes. Gwendolyn has her own singing style. A style that comes closest to Sandy Denny. With that addictive mandolin hook this is a fun, cheerful song with a melancholic story. Pure folk. 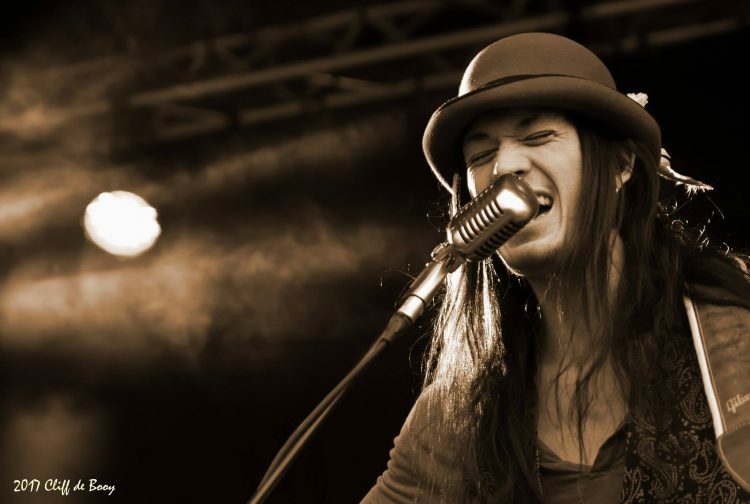 Johnny Rau is a song by the Dutch band Törf, sung in local dialect. It’s followed by Little Duke Arthur’s Nurse. This traditional, originally recorded by English 50’s/60’s Folk singer Frankie Armstrong, tells about a young man who wanted to get ‘naughty’ with a nurse… and what then happened that night. A medieval story at it’s best. By now it’s clear that Gwendolyn is a storyteller. The songs that she selected have two things in common. They had to have a beautiful composition… and a good story to tell. Needless to say that Gwendolyn is a good storyteller. And she has a wonderful partner in producer David Groeneveld. With his Pop music background he manages to give every song that something special it needs to get the story across. This particular song starts with a keyboard intro as Clannad or Enya could play it. You feel the mist flow over the English hillside, while young Johnny is travelling out on this fair May morning. But where Clannad would keep this mystical sound going, David pulls the sound right back to the pure singer/songwriter Folk that is the core of this album. Adding splashes of backing vocals left and right to keep the music fun and interesting. Lovely on the Water and Willow’s Song are two more beautiful ballads. Willow’s Song has a wonderful, almost creepy violin rhythm in there, that reminds me a wee bit of how Kate Bush uses it in her music. The original song is part of the soundtrack of the British horror movie the Wickerman. Gwendolyn and David, in their arrangement, managed to give the music an eerie, ghostly feel. 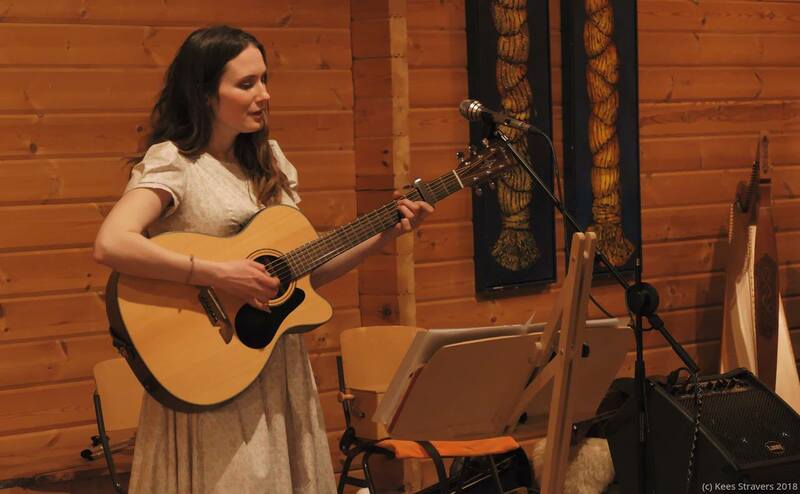 Gwendolyn’s versatile voice easily flows into a eerie melody line as well. Her voice here is a mix of Gwendolyn herself (she just has her own style that is instantly recognisable) and Loreena McKennitt. My personal favourite on the album. 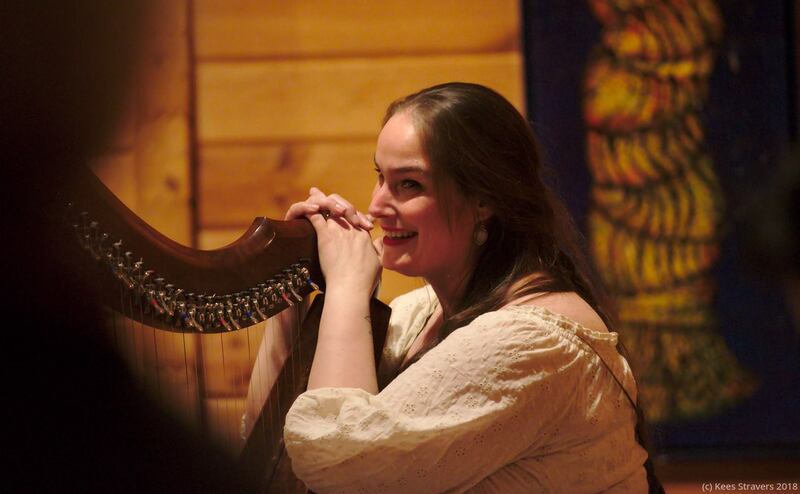 One day before the official CD release, Gwendolyn was the guest in a CeltCast ‘Living room session‘. Hearing her talk about how important the friendships she made are to her, it was obvious there couldn’t be a first solo album without the help of Coca Román. And here she is on De Harpspeelster. Gwendolyn found this song in an old Dutch songbook and Coca composed a beautiful harp tune to accompany it. The harp melody sounds a wee bit Eastern, especially with the choir coming in at the end. Gwendolyn’s music really manages to trigger my imagination. Here it is making me drift into a Chinese landscape, on a hill with golden rice fields below me in the sunset as the music fades out. (Although it being a Dutch song, it should probably have been a Sawa in Indonesia.) But not for long. Clean guitar chords pull me right back to the bright green fields of Eire. Quiet Land of Erin is a song full of longing, the longing of the Irish people abroad for their homeland, the emerald green Isle of Erin. Gwendolyn is at her very best in this former CeltCast ‘Monthly Marker’. You feel the longing, the sadness and melancholy of this story. Again, David Groeneveld surrounds her voice with just the right sound. Clannad meets Gwendolyn Snowdon. Another firm favourite on the album. On The Next Market Day the last of Gwendolyn’s guests appear. Perkelt’s Paya Lehane plays the beautiful lead melody and solo on recorder, a type of flute. The song itself is a medieval love story. In most versions it ends with a marriage, but Gwendolyn leaves it with an open end. The arrangement itself reminds me of Omnia’s version of The Well. Especially with the solo that Paya composed. A beautiful magical tune that would capture any traveller’s heart. The Parting Glass is a fitting end to Three Strands Braid. 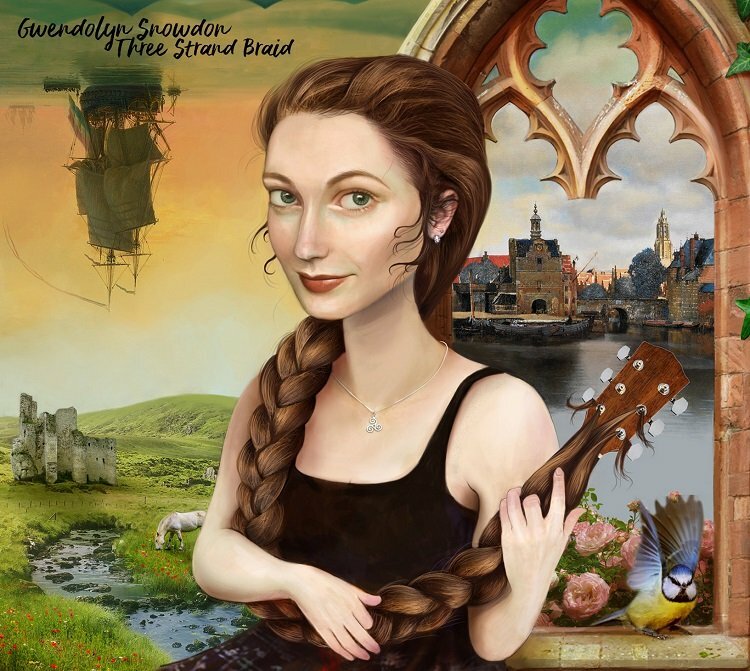 Gwendolyn, with the help of her friends, has made a beautiful CD. 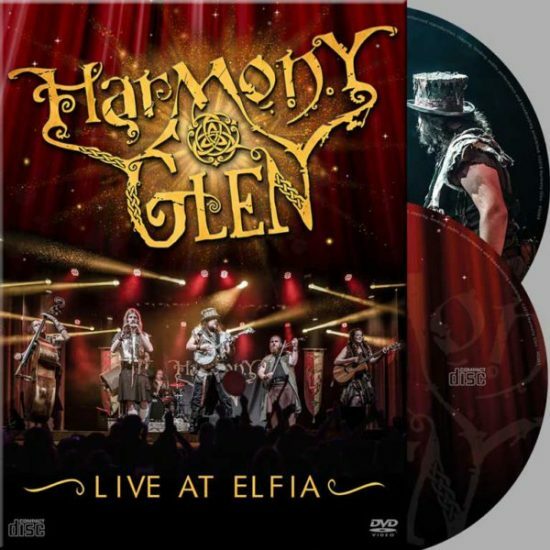 Well rooted in the Celtic Folk traditions, but with the surprising Dutch songs, the Pop influences of David Groeneveld and the cool variation in song choice on the whole, it also is a really fresh album that keeps on giving. Having said that, what makes this CD really stand out in the crowd is Gwendolyn Snowdon herself. Her voice is amazing and she has the skills to use it to its full potential. Sometimes it´s crystal clear, like a modern Joan Baez, sometimes eerie and mystical like a Dutch Loreena McKennitt. But most of the time she uses that melodic Irish accent as a female Christy Moore. I know I compare Gwendolyn with some big names here, but I really feel her voice has that quality. But, the biggest compliment I can give Gwendolyn is that she sounds like herself! All the names mentioned in this review are pure references to help explain the music. In the end Three Strand Braid is a 100% pure Gwendolyn Snowdon. And I love it!!!! 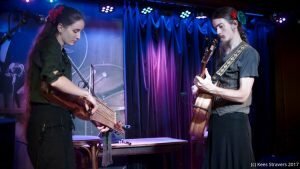 Two talented young musicians, one playing nyckelharpa, the other guitar. Sometimes it doesn’t take more than that to make a beautiful album. The Swiss duo Emilie Waldken and Pascal Rüegger, together known as KNEP, did just that and we at CeltCast are more than happy to introduce their music! Emilie Waldken studied classical violin, after which she was introduced to the nyckelharpa and Scandinavian music and it was love at first sight. 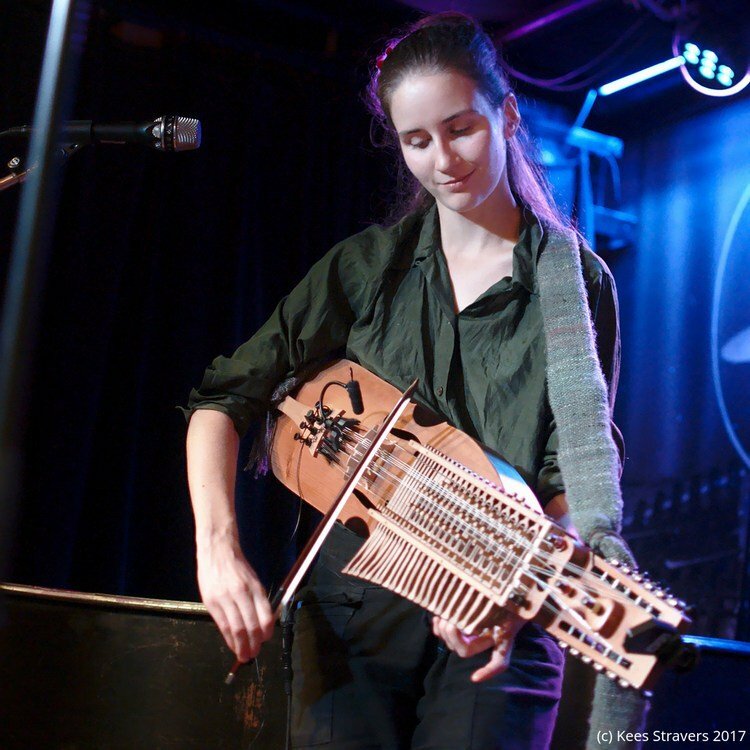 In her own words; ‘the discovery of the nyckelharpa was key in my life.’ She eventually went to Sweden to study Swedish folk music on the Eric Sahlström institutet. 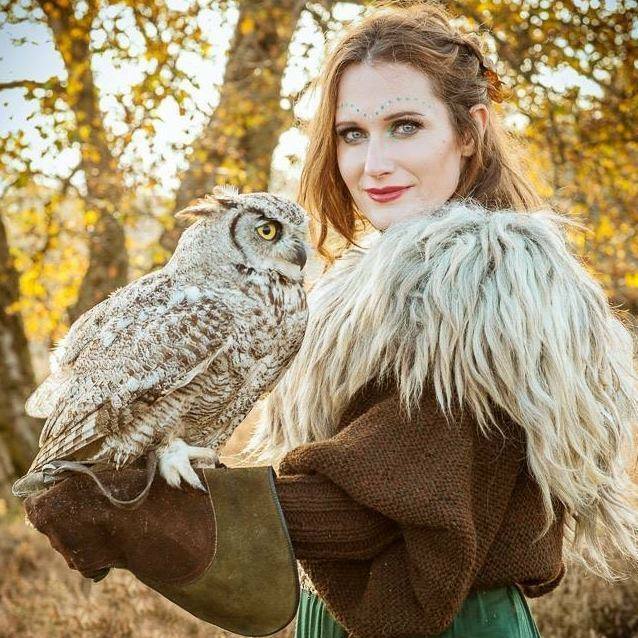 Besides KNEP she plays in the medieval/fantasy band Skoga Obscura which she founded. She also does a lot of solo performances and teaches. Pascal Rüegger studied music on the Zürcher hochschule der kunste in Zurich. He also went to Sweden to study Scandinavian folk, although his focus was more on dance. 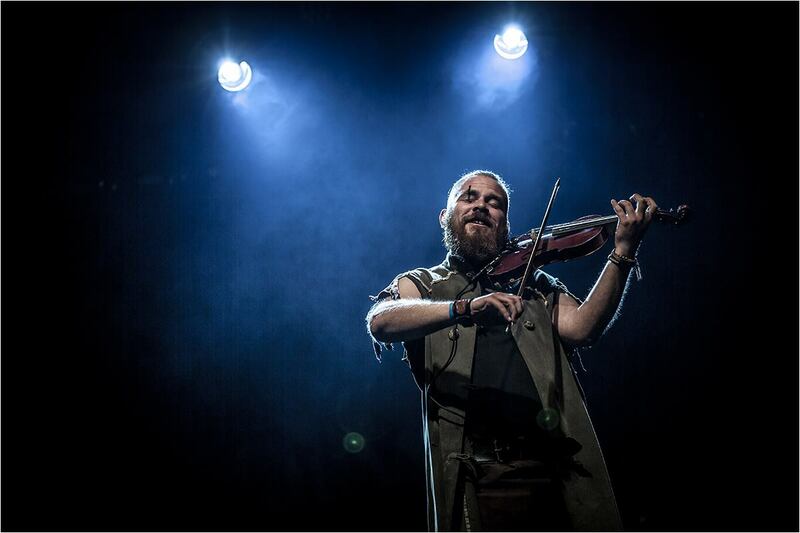 He now gives workshops in traditional Nordic- and Balfolk dances. He is also busy with quite a few jazz- and theatre projects. 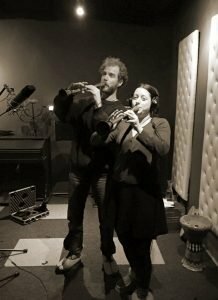 With both Emily Waldken and Pascal Rüegger loving Swedish folk-, Balfolk-, classical- and jazz music, it’s no surprise that KNEP’s sound is indeed a blend between Swedish Traditional music, Balfolk and classical chamber music with a splash of jazz. 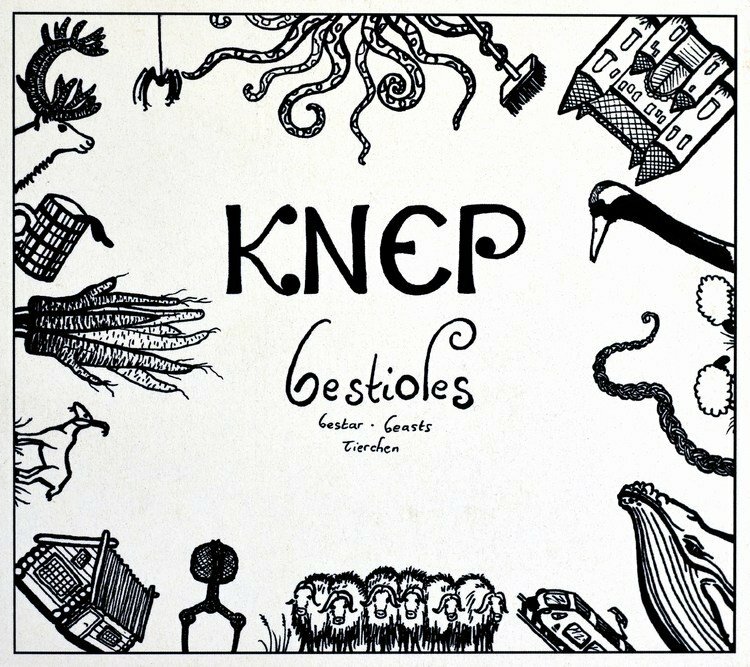 On Bestioles you’ll find 11 lovely folk songs. Introducing us to different types of Scandiavian traditional music and some balfolk too. Five of the songs are Polska’s, one is a Circassien Circle. There is a Waltz, a Scottish and two Mazurka’s. Five songs are traditionals, Pascal wrote four and Emilie has five to her name. For the fast mathematicians, yes that adds up to more then eleven, but some songs are actually two tunes blended together. Something you will surely notice reading the song-titles. All arrangements are by Emilie and Pascal. The latter is also responsible for recording Bestioles. The first song MCP + La verte shows all the duo’s strong points. It starts with a jazzy rhythm played by Pascal on guitar and he is soon accompanied by Emilie’s nyckelharpa. Although the first time I heared the music I mistakenly thought it was played with a octavharpa. Not true Emilie told me. Her nyckelharpa has a 4-row keyboard, which explains the deep almost cello like sound on this (and other) songs. As the nyckelharpa’s melody on MCP + La verte is in the range of a cello, you would expect these two combined compositions by Pascal to be melancholic, but they are not. It’s actually a cheerfully played Polska, especially the second part La verte. The second song Chévrefeuille (French for Honeysuckle) is a composition by Emilie. This song is still evolving when they play it live with Emilie adding new parts to it on a regular basis. Again, a nice cheerful song, with Pascal on low whistle. The composition has a lot of variations on the main theme and changes in tempo, keeping it interesting until the last note. Polska från Dorothea starts with a lovely nyckelharpa intro from Emilie, with Pascal´s guitar joining in. Both instruments blend into a beautiful, gentle piece of music. By now it’s clear that both Emilie and Pascal are excellent musicians. Although all songs are instrumental, you don´t miss vocals. As is to be expected from well composed classical music, the instruments themselves are the voices. In the artwork Knep tells that this Polska has been among their favourites for a long time. It could well be my favourite too. Celle-ci is a Mazurka. It´s also a solo piece for guitar and it´s beautiful, starting real small, delicate and tender. The song shows how beautiful classical acoustic guitar can be, when played by a skilled musician. Another personal favourite of mine. The uptempo Le Troll du Chateau de Joux + The Gallowglass brings us to another Balfolk dance classic. The Circassien Circle dance. At this point I noticed another strong point of the CD. Its variation. I am taken from dance tunes to delicate solos. One moment the guitar will lead the way, the next song the nyckelharpa takes center stage. From open chords to rhythm, from Polska’s to a Waltz, the songs are never the same. I really have to compliment KNEP on the song choice and the placement of them on the album. It is so well balanced, so well thought out that it keeps being interesting. Not all songs are Swedish folk inspired. Suka-fiol is a Waltz Emilie wrote when she heard about the Suka, a special fiddle from Poland. Maybe it sounds Polish, maybe not, but it’s definitely a nice Balfolk song. Eikelandsosen is a solo piece for nyckelharpa. And here I have to compliment Pascal on his recording skills. The whole album is recorded with minimal usage of effects, giving it a direct, pure and honest sound. In this song it works so well. You can really hear all the ‘clicks’ of the nickelharpa keys being touched. If you close your eyes you can just imagine Emilie sitting next to you, playing you this wonderful instrument. The last song I want to mention is L’autre Route, a delicate duet between guitar and nyckelharpa. A worthy end to this beautiful album. 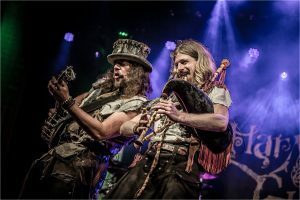 Bestioles nicely fills in the gap between Balfolk, as played by the likes of Finvarra, and Baroque style chamber music. It’s not an album that will make you jump and run through your house dancing. It’s an album you want to play to calm down and forget the stress of the day. It leaves you feeling positive and relaxed. A great value nowadays. 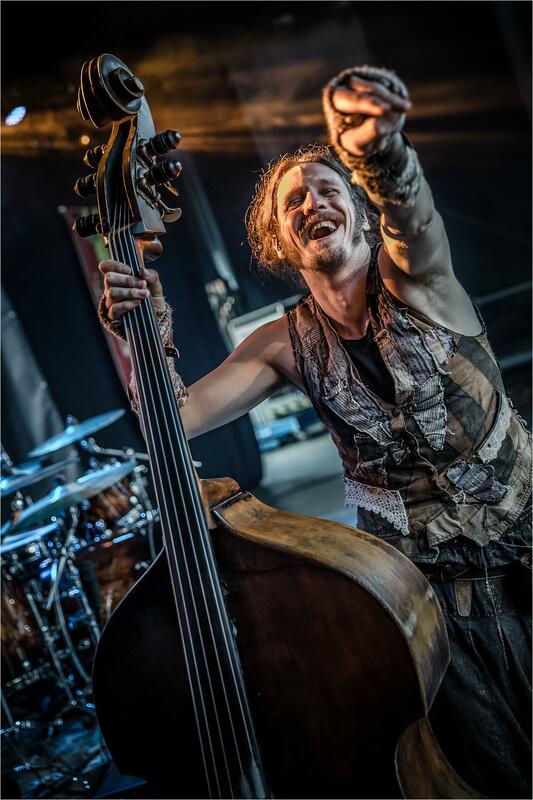 – Concert photo’s courtesy of Kees Stravers. – Band portrait courtesy of Knep.